For organizations dealing with this problem, establishing application networks can define their success. Application networks use APIs and integrations to connect applications, data, and devices within the enterprise and to external ecosystems. Instead of connecting applications through point-to-point connections or isolated architectures, application networks provide a structure for information exchange and allow applications to be plugged in and out of the network, providing the flexibility for change. What many don’t realize is that application networks deliver their value through a graph: an application network graph. The application network graph contains metadata of the application network, its components, and its operational characteristics. It knows everything about the application network, such as the catalog of APIs that are available, their versions, the developers that are authorized to access those versions, and the apps consuming the APIs. Just like how the social graph revolutionized the way people access information about each other and the world, the application network graph transforms the way companies can access information about applications and systems in their enterprise. Data from the application network graph can be sliced in different ways to provide the most relevant view for a user or a use case. Through its connections, the graph can provide pointed and contextual insights, such as which developers and applications are impacted by a deprecation of a specific version of an API or how to map two systems together based on previous mappings from across the application network. As a result, the application network graph enables teams to gain better visibility and make informed decisions. Since the application network graph can pull metadata across the application network and organize it in a way that makes it easy to consume, you can use this metadata to derive insights to make informed decisions. Now, imagine what would be possible if this metadata was fully accessible and leveraged within a single solution for building, managing, and operating application networks. That is exactly what we have done with the Anypoint Platform October 2018 release. Organizations can now further increase speed of development, actionability, visibility, and security using valuable insights from the application network graph, through Anypoint Platform. 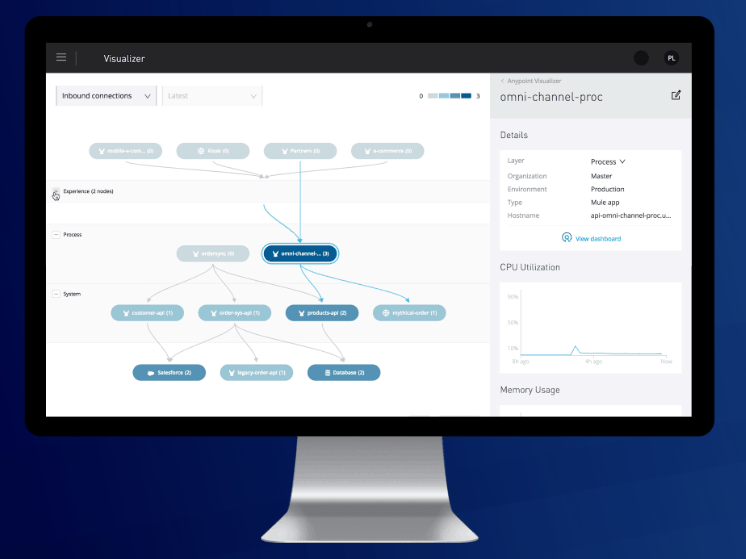 The application network graph underpins key components of the platform including Anypoint Visualizer, Anypoint Monitoring, Anypoint Design Center, and API policies. Machine learning for data mapping: Anypoint Design Center’s flow designer applies machine learning to the knowledge from the application network graph to automatically provide data mapping recommendations. 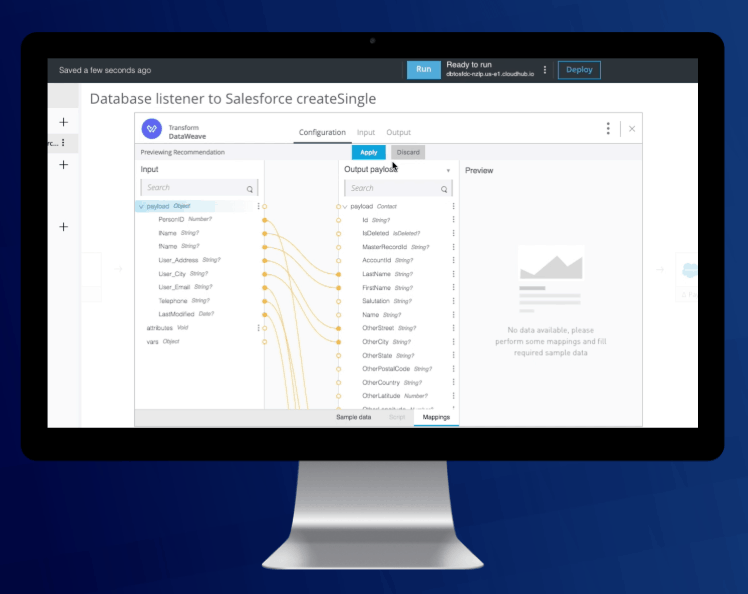 Using data mapping recommendations learned from the broader MuleSoft ecosystem, the ML-based automapper dramatically accelerates speed of development for organizations. Automatic holistic view of APIs and integrations: When manual work is involved in gaining holistic visibility, a real-time view of the application network is nearly impossible to achieve. Anypoint Visualizer automatically builds a holistic view of your APIs and integrations using the knowledge from the application network graph. Visualizer is further enhanced with data from Anypoint Monitoring, providing the ability troubleshoot issues quickly. By segmenting the view by average response time, errors, and throughput, users can understand where issues may be emerging before they happen, and when an issue does arise, quickly pinpoint the root cause. Expanded suite of API management policies: As application networks grow, so do users, traffic, and access points; this can increase the vulnerability of the network. To prevent this, it’s important to apply security at every layer, including embedding security into API designs, tokenizing data at rest and in transit, and applying policies on individual APIs and at the edge. 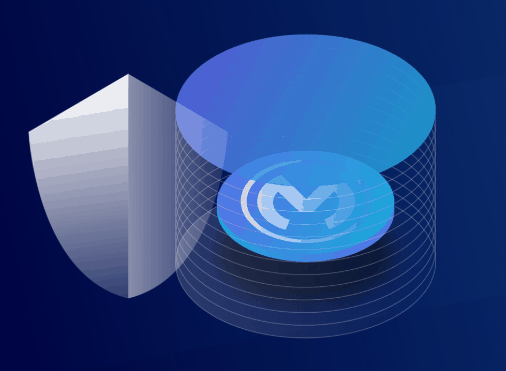 With this release, MuleSoft is introducing new API policies into the application network graph that provide additional layers of security and control. 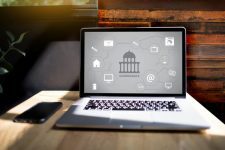 These policies can be applied with clicks, not code, to help users increase their security posture to prevent breaches. By providing access to relevant insights previously difficult to gather, this new release of Anypoint Platform enables customers to make even smarter decisions to scale their application networks and drive new levels of speed. Try the components of the release today by signing up for Anypoint Platform and register for our upcoming webinar to see the release in action!